It is quite surprising how far astrology has taken us as human beings when it comes to predicting our future. Astrology is a great science in predicting relationships. We can easily know how different zodiac signs behave and that helps us analyze compatibility. Great astrology books have been written on various zodiac signs covering relationship and compatibility in detail. I have in brief given important points below for relationship between Leo and a Libra. One of the pairs that we have deemed quite interesting should fate decide that the two of you are going to end up together is Leo and Libra. And without much ado, let’s take a look at the two of these and see what they ought to turn out to be. 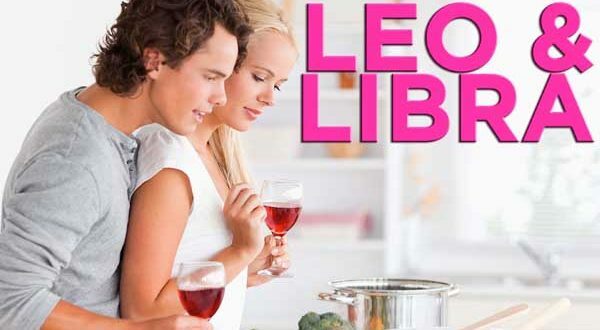 Before we delve into considering what each among the pair and also upon interchanging the horoscopes will turn out to be, it is worth taking note that Libra by nature is proved to be most social among all the horoscope signs while Leo on the other hand is symbolized by the lion hence quite a strong ego that hardly goes unnoticed. Think of the egocentric nature of Leo then pair it up with the social Libra- this is quite an interesting match, isn’t it? Even when among strangers or in an environment that is consisted of people that are far above her class, Libra is guaranteed to be able to easily blend in among the strangers and she is definitely good to go. Considering the nature of Leo, then it would prove quite easy for him to fall for Libra when he is noticed. Social is one thing that Libra is credited for and as a result so is flirting. On the other hand, a Leo partner may at first stand as being of a much higher class but with the incorporation of his charm, the guy will definitely get to have the girl in the end. The fair minded nature of Libra deems him as being of a quite understanding personality hence the ego of the Leo woman will not be much or of a setback to him. Leos are attracted to those who notice them but this is only an attraction that is definitely different from love. When the admiration and attention is pushed, it would sooner or later yield to love. In the bedroom, Leos will strive to be the dominant and with their strong sexual drive, the sensuality of both of them definitely makes them one of the best pairs in bed.